The Product rang is from ½ in dia to 14 in dia in Class-B for 60 meters head of water, Class-C for 90 meters head of water, Class-D for 120 meters head of water and Class-E for 150 meters head of water pressure ratings (BSS-3505). 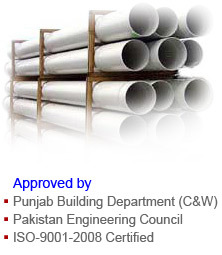 Unique UPVC conduits are manufactured from ½ dia to 4 meeting Pakistan Standard 1905 and British Standard 6099. 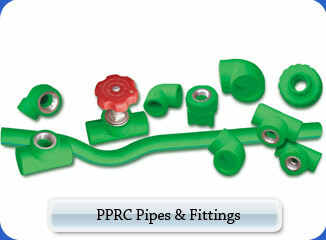 We are committed to provide utmost quality UPVC Pipes conforming all national and international standards and in accordance with ISO 9001-2000 Standard. Our regular monitoring and continuous improvement is our primary objective for the satisfaction or our valuable customers. 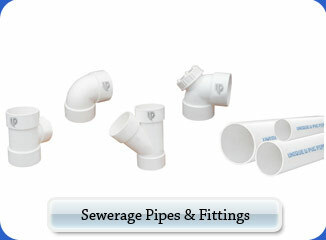 Established in 1994,Good Will Plastic Industries (GWPI) (Unique Pipes). 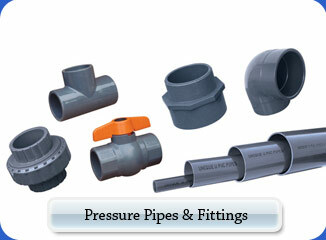 Product Size Ranging from 1 / 2 " to 14" in dia conforming all National and International Standards (PSI,ASTM,ISO, BSS, etc) in their respective Applications under the strict quality control procedure. GWPI providing their Customers with the best of what they need, When they Need, it has always been to the GWPI Philosophy. To watch the pace of our growing industry and Global Market Trends, we have equipped our manufacturing system with latest blending and extrusion machines using latest blending and extrusion techniques. We have a dynamic and abundant experience team. We have good management group, the mate and active atmosphere makes everyone work happily and wholeheartedly. 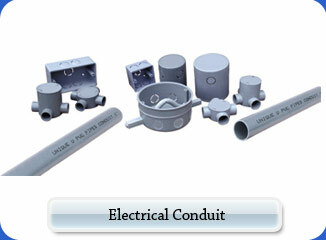 About the Technology details, our technicians and operating workers have vast experience. We have fully equipped laboratory where our qualified and trained staff test the quality of Unique Pipes Products randomly during all stages of its manufacture. 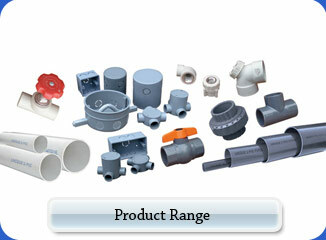 All of these ensure every product of our company is of high quality and the service is perfect and timely.